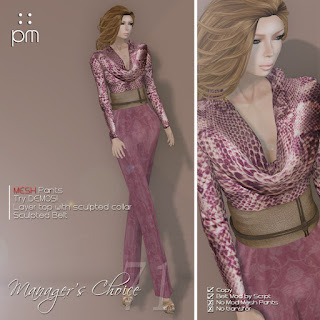 55L Outfits at PurpleMoon | ! *PurpleMoon Creations* ! These sets of pants matched with layer top and sculpted collar and belt, are being offered for only L$55 each! Don't miss them! Sale runs until Sept 5th!